Alzheimer’s disease impacts many individuals in the latter stages of life. It is a form of dementia that is very devastating to the individuals affected and their families. 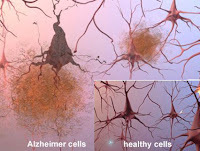 On the molecular level, the disease is indicated by extracellular protein “plaques” that are composed of amyloid-β (Aβ) and an accumulation of so-called, “neurofibrillary tangles” within the neurons (see images below). These tangles are composed of tau protein. Amyloids represent aggregates of proteins that are stuck together and pose problems for cellular health and development in tissues. This is especially important within the central nervous system since communication between neurons is of such vital importance. The accumulated evidence suggests that it is the combined impact of Aβ and tau that lead to the neuronal dysfunction that is indicated by the severe cognitive deficits exhibited by individual with this disease. Furthermore, the production of Aβ seems to trigger the subsequent phosphorylation of tau protein that lead to its deposition and ultimately to cognitive deficits. In mouse animal models, the depletion of tau prevents Aβ toxicity. It seems that by the time the symptoms are evident, significant cell damage has already occurred. 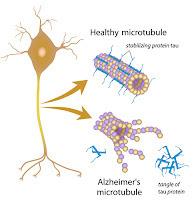 However, recent studies by Dr. Arne Ittner and his colleagues from the School of Medical Sciences at UNSW Australia have shown that site-specific phosphorylation of tau directed by the neuronal p38 mitogen-activated protein kinase enzyme (p38γ) actually inhibited Aβ toxicity. Furthermore, the depletion of p38γ worsened cognitive defects and increasing p38γ eliminated these deficits. 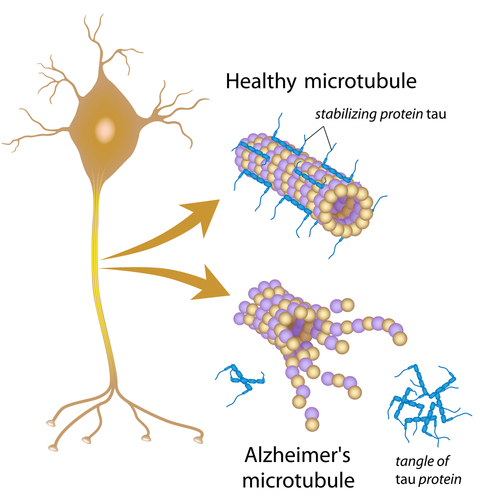 These results are of importance; for, they demonstrate that phosphorylation of tau may or may not be detrimental depending upon the site(s) on the protein structure that are impacted. The learning process that proceeds within the adult human brain has long been an intense interest of study for neuroscientists especially in regards to the events that unfold on a cellular and molecular level. It has been shown that physical activity as well as the experience that comes with being in novel environments triggers the production, development and eventual connectivity of newly-formed neurons within the adult human brain. Diego D. Alvarez and his colleagues (Laboratorio de Plasticidad Neuronal, Fundación Instituto Leloir–Instituto de Investigaciones Bioquímicas de Buenos Aires–Consejo Nacional de Investigaciones Científicas y Técnicas (CONICET), Av. Patricias Argentinas 435, Buenos Aires C1405BWE, Argentina) focused their studies on the mechanism through which the experience of an enriched environment (EE) impacts the incorporation of newly-formed adult neurons into the hippocampal network – an area of the human brain involved in retaining declarative (explicit) memory. Declarative memory refers to the memory of facts and events. 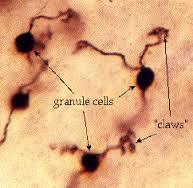 The cells of interest are referred to as granule cells (GCs) (see image below). In the investigators’ study of newly-formed GCs using the mouse animal model, they found that exposing the test animal subjects to EE accelerated the incorporation of these neurons into the microcircuits of the dentate gyrus – the apparent site for the establishment of new memories. In addition, further study demonstrated that in order for this incorporation of new GCs to proceed, the process required the participation of parvalbumin y-aminobutyric acid-releasing interneurons (PV-INs). Inactivation of PV-INs effectively prevented the effects of EE. Neuronal stem cells (NSC) of the adult hippocampus are the precursors of GCs of the dentate gyrus. These results further our understanding of the complex cellular and molecular mechanisms involved in incorporating new memories in the adult human brain. 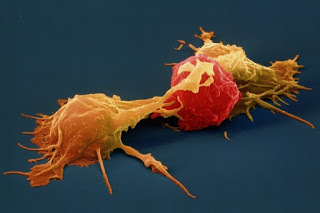 It has been well established that the human immune system has the inherent capability to recognize and eliminate aberrant tissue cells in the body that have become transformed into cancerous cells capable of metastasis. The natural process of finding and eliminating these cells is referred to as cancer surveillance. It is this understanding that has led to the development of clinical approaches taking advantage of this phenomenon. 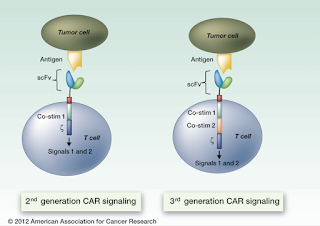 The techniques employed in this regard are classified under the heading, cancer immunotherapy. 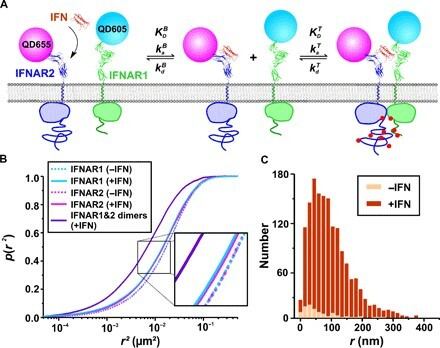 There is a particular subset of circulating immuno-competent white blood cells referred to as natural killer cells that play a significant role in the body’s response to infectious pathogens as well as in cancer surveillance (see image below). Dr. Rizwan Rowee and is colleagues from the Department of Medicine, Oncology Division Washington University School of Medicine in St. Louis investigated the properties of natural killer cells in regard to their ability to identify and destroy cancerous cells. They were particularly interested in their “memory” capacity. It has long been known that subsets of immuno-competent cells retain the capacity to recognize and attack particular targets from previous encounters. This is an indispensable feature of a normal immune system. These are very important findings especially in regard to the treatment of patients with AML; since, this disease is a particularly aggressive form of leukemia. Malaria is one of the world’s deadliest diseases. It is especially prevalent in the tropics. The life cycle of the causative microbial parasite – members of the plasmodium genus i.e. Plasmodium vivax is complex involving the Anopheles mosquito as a vector (see images below). The nature of the infection is such that it has eluded the development of an effective vaccine for many years. In light of this, it is quite surprising that Dr. Arnoldo Gabaldón, born in 1909, in Venezuela made a significant contribution to the understanding of this disease and its implications in regard to public health. Gabaldón earned a doctorate in medical sciences at the Universidad Central de Venezuela. He continued his education internationally working in Hamburg and the United States at the Rockefeller Foundation and ultimately received a doctorate from Johns Hopkins University in hygiene sciences with a specialty in protozoology. With this kind of medical background and expertise in infectious disease, he was asked to head the newly created Special Directorate of Malariology in his home country of Venezuela in 1936. He held this post until 1950. He successfully applied his understanding of the methodologies required to combat infectious disease to the rate and severity of malarial infection that gripped his country in the 1930s. This included the emphasis on public hygiene and sanitation and the judicious application of anti-malarial drugs. His approach was so successful that mortality resulting from malarial infection was decreased significantly by 1944 and, more importantly, its control was seen as within reach. This initial success was followed by an attempt to significantly reduce the Anopheles mosquito population. For this purpose, the insecticide dichlorodiphenyltrichloroethane (DDT) was used. The historic data has revealed that “by 1950 the death rate from malaria in the country had been reduced to 9 per 100,000 inhabitants and was eradicated in an area of 132 000 km2. In 1955, 10 years after the program started the rate was lowered to 1 per 100 000 population and the eradicated area had increased to 305,414 km2.” On balance, it should be kept in mind that the discovery of the ecological burden posed by the use of DDT on the natural environment has effectively banned its application for many years. Gabaldón is also credited with discovering a new species of malarial parasites and had focused a great deal of his efforts on further study of the Anopheles mosquito. He was later appointed Minister of Health and Welfare between 1959 and 1964 in recognition of his premier understanding regarding issued of public health. He died in September of 1990. Arnoldo Gabaldón made a significant contribution to the principles and practices of public health around the area of infectious disease. The example of his leadership has been emulated throughout the world and possibly has saved countless lives. There are many chronic illnesses that are referred to as autoimmune diseases such as multiple sclerosis, amyotrophic lateral sclerosis (ALS) and pemphigus vulgaris for example; the etiology of these diseases originates from the patient’s immune system attacking normal tissue. ALS is a disease that presents as a progressive degeneration of the normal function of motor neurons resulting in paralysis and death. 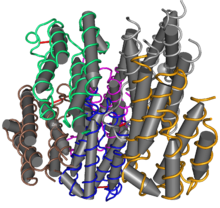 It has been shown that mutations in the C9ORF72 gene are commonly found in ALS and frontotemporal dementia. This gene is located on the short arm of chromosome 9 in humans. This gene contains the information for the production of the C9orf72 protein. Furthermore, in animal model studies using the mouse, it has been found that mutations in this gene result in Autoimmune-like symptoms. Transplantation of normal murine bone marrow positively impacted diseased mice with this mutation and bone marrow transplantation of diseased mice into normal animals alternatively resulted in symptoms of autoimmunity. These latter results led investigators to suspect that the C9orf72 gene is normally active in hematopoietic cells – cells residing in the bone marrow that produce circulating blood cells - in suppressing autoimmunity. These diseased animal suffer a high mortality rate. 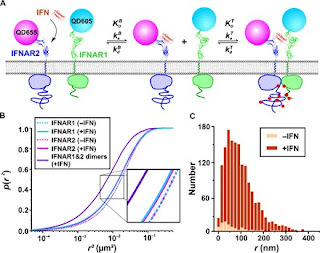 These data represent strong evidence that the C9ORF72 gene plays a very important role in the suppression of autoimmunity and may prove to be of future therapeutic value. Are we prepared to leave as our legacy not only to future generations of humans, but also the future of our fellow creatures a world whose living populations will be severely decimated by the onslaught of climate change brought on by human activity? Are we prepared to jeopardize the quality of life and security of future generations of humanity on planet Earth so that we can maintain our privileged and comfortable lifestyles based upon a patent disregard for the environmental degradation that we necessarily impose upon our planet? These questions are no longer simply philosophical in nature. The current data is clear that we are in the midst of a major change in the global environment caused primarily by human activity. The following statement was made within the Smithsonian Museums website – Smithsonian.com – “According to the International Union of Geological Sciences (IUGS), the professional organization in charge of defining Earth’s time scale, we are officially in the Holocene (“entirely recent”) epoch, which began 11,700 years ago after the last major ice age. Humanity’s response, within the 21st century, to this real crisis will determine the future that awaits the living world. Of course, the earth has been through at least five major mass extinctions in its long geological history and will certainly survive another. The kind of adjustments involved, however, require long stretches of time involving many thousands if not millions of years. We do not have the luxury of waiting. The future of the natural environment depends upon what we do, or what we fail to do now. 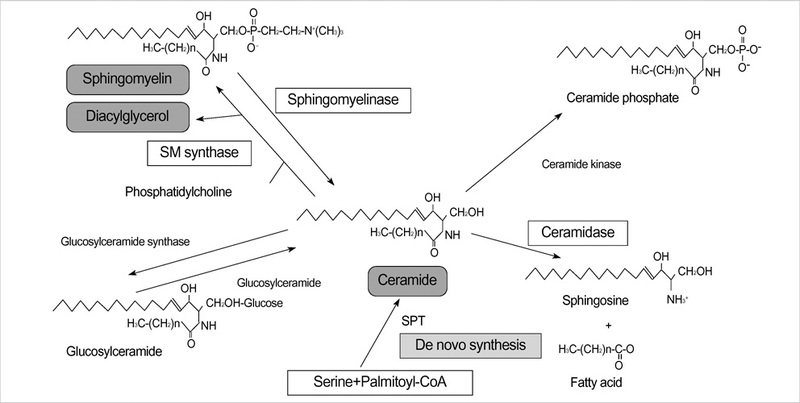 Ceramide belongs to a class of bio-active organic compounds referred to as sphingolipids. 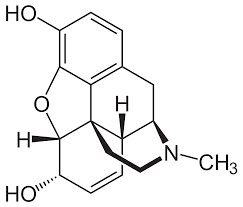 This class of compounds has been shown to play important roles in many cellular processes including cell growth and proliferation, growth arrest and most importantly, apoptosis – programmed cell death. Furthermore, research studies have strongly implicated sphingolipid signaling dysfunction in tumor progression – metastasis. In addition, sphingolipids seem to play a role in the effect of chemotherapy and radiation upon cancer progression in patients with metastatic disease. The current data strongly suggests that the enzyme acid ceramidase (AC) is implicated in both tumor growth and resistance to various therapeutic modalities as suggested above. 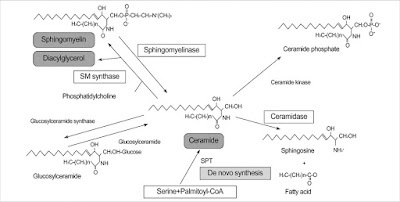 AC is an enzyme that catalyzes the breakdown of ceramide to sphingosine and fatty acid (see diagram below). AC over expression has been found in association with certain metastatic cancers including prostate cancer. A decrease in the intracellular levels of ceramide has been shown to result in a decrease in apoptosis that would ordinarily lead to cell death for proliferating tumor cells. As a consequence of these data, Daniele Piomelli, the Louise Turner Arnold Chair in Neurosciences at UCI, and colleagues at the Italian Institute of Technology, have also established an association with over expression of AC and metastatic disease in melanoma patients. 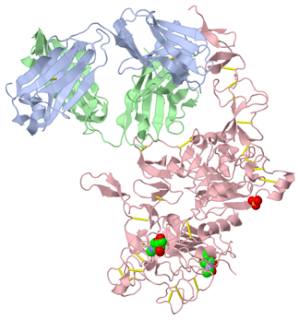 This group has proceeded to successfully develop drugs that effectively inhibit AC in an attempt to restore an appropriate level of apoptosis and slow down tumor progression. It has long been suspected that the progenitor of life on planet earth most likely came from the sea. It has been proposed that the possible origins of life could have been in shallow pools or under more extreme conditions such as within deep-sea vents or proximal to active volcanoes. The current domains of life consist of bacteria –prokaryotes, the archaea -found in deep sea vents and the eukaryotes that comprise all the animal and plant life on the planet. It has also been proposed that the archaea and the bacteria preceded the more complex eukaryotic cell type. William F. Martin, an evolutionary biologist, from Heinrich Heine University in Düsseldorf, Germany, focused his research efforts on finding the progenitor of archaea and bacteria. To do this, the known genetic structure of members of the archaea and bacteria domains were extensively examined. This involved the examination of some six million genes representing thousands of microbes. From these data, Martin and his colleagues were able to construct evolutionary family trees and were able to deduce that 355 gene families originated from single cell bacteria-like organism. That organism is referred to as the Last Universal Common Ancestor (LUCA). Furthermore, it is believed that LUCA lived some four billion years ago when the young earth was barely 500 million years old. If this conclusion is correct, it clearly proposes that life began very early in the evolution of the planet earth and that the evolution of life was a much longer process than previously envisioned. Myelodysplastic syndromes (MDS) represent a disease state that has its origin in the bone marrow. Within the bone marrow are resident stem cells that are the progenitors of the circulating white and red cells and platelets that play vital roles in immune function (white cells), oxygenation of the tissues (red cells) and the ability of blood to clot as the result of trauma (platelets) - see diagram below. 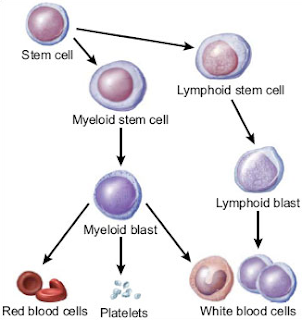 The wide range of types of human leukemia are cancers of these progenitor stem cells. From the perspective of scientific research, the question that remains to be answered is what are the cause(s) of MDS. This question has been and continues to be the focus of a concerted and intense collaborative effort. Glioblastoma is an exceedingly aggressive cancer of the brain that usually leads to death within months of its initial diagnosis. However, in clinical trials conducted by Drs Gordana Vlahovic and Matthias Gromeier at the Preston Robert Tisch Brain Tumor Center at Duke University in Durham, NC, amazing results have been achieved in patients with this disease using a human-engineered polio virus that has been stripped of its ability to cause disease. This modified virus with the ability to kill cancer cells (oncolytic) is referred to as PVS-RIPO (see illustration below). The results to-date have been so impressive, that the Federal Drug Administration (FDA) has accelerated the approval process for its use in clinical settings opening up its application to perhaps hundreds of patients who would otherwise face a grim future. 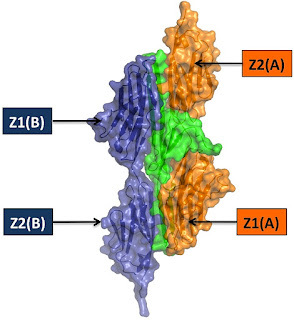 PVS-RIPO was engineered by removing the genes that are responsible for causing the neuronal damage that produces the deleterious effects of polio in humans and added in its place a portion of the genetic code of the ubiquitous cold-causing rhinovirus. The rationale for this approach is multi-faceted. 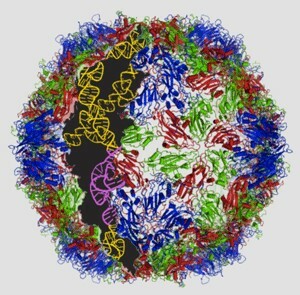 The polio virus has a natural receptor that can attach to many different forms of cancer. This receptor binds to CD155. 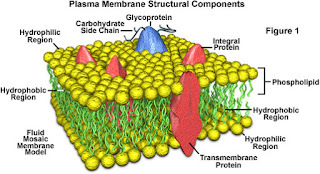 CD155 is a cell surface glycoprotein that spans the outer cell membrane (transmembrane). 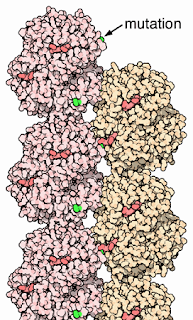 It is often referred to as the Poliovirus Receptor (PVR). It has been established that CD155 plays a role in the establishment of intercellular junctions between epithelial cells. It seems that CD155 is over-expressed and abundant in various kinds of cancers including glioblastoma and pancreatic cancer. The strategy employed was to use PVS-RIPO to preferentially infect the patient's cancerous glioblastoma cells. In the case of the patients involved in clinical trials suffering advanced stages of glioblastoma as mentioned above, PVS-RIPO was infused directly into the tumor in order to maximize exposure to the virus. It seems that the amazing success of this treatment is due not only to successful infection with PVS-RIPO but also the subsequent mobilization of the immune system against the cancer cells. This approach to treating advanced glioblastoma may ultimately extend to the treatment of other intractable cancers such as pancreatic cancer. This is an exceedingly exciting development that may have broad application in the treatment of and ultimate cure of cancer. A question that has plagued scientists for a long time is centered around the question as to how life began on planet earth. It is well known that life is found even under the most inhospitable conditions – a stunning example of this is that life exists within the deep sea hydrothermal vents that are found on the ocean floor. In addition, microorganisms such as Hormoconis resinae contaminate jet fuel – using this hydrocarbon source as a vital nutrient – and are known to cause corrosion in the tanks that hold this fuel. Therefore, it can be reasonably postulated that simple life forms could thrive in the harsh conditions of prebiotic earth when oxygen was not present within the atmosphere at that time. But the question remains as to how did life begin – what was the process by which self-sustaining living organisms were formed from rudimentary compounds. It has been shown that in an artificial environment created in the laboratory in which an atmospheric environment was created to simulate the conditions believed to have existed in the prebiotic world, the addition of an energy source – such as lightening – produced rudimentary organic compounds found in living cells. These experiments were conducted in the 1950's, by the biochemists Stanley Miller and Harold Urey. These results are only suggestive evidence that organic compounds could have been created spontaneously in the early-earth environment. It is, of course, far from the complete story. 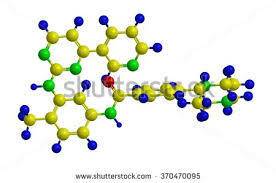 Since DNA and RNA are fundamental ingredients to all of life as we know it and capable of self-replication, a key step in the evolution of life would be the conversion of simple organic compounds to purines that are some of the important building blocks for both DNA and RNA and for the synthesis of Adenosine Triphosphate (ATP) – the molecule that is responsible for trapping energy derived from metabolism for all of life. Furthermore, the preponderance of evidence now suggests that RNA may have preceded DNA as the repository of genetic information capable of self-replication. Certain forms of RNA also demonstrate catalytic properties (ribozymes) that are essential to sustain life. Of course, contemporary advanced cell structure uses a host of enzymes to accomplish essential catalytic functions. 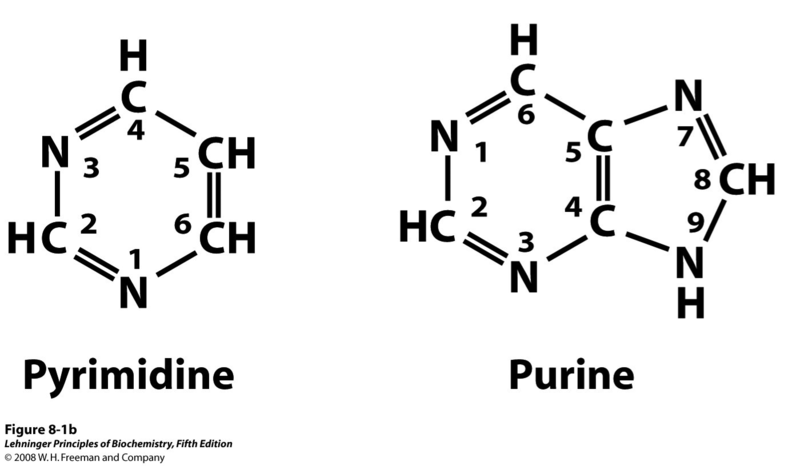 RNA is made of four different nucleobases -two pyrimidines – cytosine and uracil – and two purines adenine and guanine. Previous work done by John D. Sutherland from the School of Chemistry, University of Manchester, UK has shown a plausible synthetic route to pyrimidines in an abiotic environment. 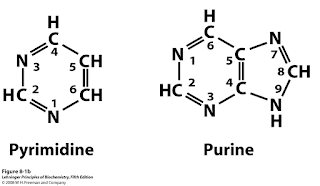 But the route to purines has been more elusive. Recent work by T. Carell from the Department of Chemistry, Ludwig-Maximilians University Munich, Germany and fellow investigators has recently demonstrated a mechanism that could account for spontaneous creation of purines from simpler compounds readily available within the natural environment of early earth. 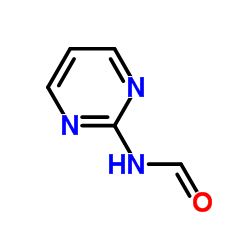 The pathway involves the spontaneous synthesis of aminopyrimidines from hydrogen, cyanide and water – compounds readily available in the early earth environment. 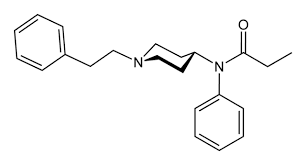 Although aminopyrimidines can produce a wide range of synthetic products, in an environment of formic acid, the predominant product is formamidopyrimidine (FaPy) known to readily produce purines. Furthermore, formic acid has been shown to be present in comets that collided frequently with earth during the early stages of its evolution. Although this work is very significant, it does not explain how purines and pyrimidines would lead to the creation of more complex and sophisticated RNA molecules. Nor does it shed any real light on the requisite formation of a cellular environment for biosynthetic reactions so necessary for the containment and sustenance of life processes. The tools available to molecular biologists especially in regard to gene sequencing and assembly allow investigators to produce nucleotide sequences that incorporate specific genes and gene clusters into DNA created in-situ. A team of investigators headed by Craig Venter from the J. Craig Venter Institute in La Jolla California in effect created a microorganism containing 473 genes (Syn 3.0). The purpose of this investigation was to determine the minimal amount of genetic material required to sustain life as an autonomous organism and successfully reproduce. In 2010, Venter and his colleagues created an entire chromosome from the bacterium, Mycoplasma mycoides (this organism has only one chromosome) and demonstrated that this synthetic chromosome was completely functional. They did this by stripping out the naturally occurring DNA from the mycoplasma, M. capricolum and replacing it with the synthetic chromosome. The modified organism was called Syn 1.0 and with its complement of 901 genes was shown to be completely viable and capable of reproduction. What makes this current result so remarkable is that this organism is entirely new. Of the 473 genes, 149 (31.5%) are of unknown function; therefore, additional work will focus on the discovery of the function of these apparently essential genes. Syn 3.0 may prove to be an invaluable tool in understanding the evolution of life on planet earth. There are a host of diseases that are a direct result of a mutation in a single gene. Examples of this kind of disease are many including sickle cell anemia, severe combined immunodeficiency disease (SCID) and many others. The world famous chemist, Linus Pauling (1901-1994) coined the term Molecular Disease to refer to this type of illness. He was awarded the Nobel Prize in Chemistry for his work in 1954. Ulcers on the lower legs (in adolescents and adults). This disease was thought to have a genetic etiology based upon the epidemiological data which showed its prevalence among individuals of African descent (one in twelve African Americans are heterozygous for this trait). Furthermore, these data also pointed to a recessive trait i.e. both alleles have to possess the altered gene for the symptoms to appear. The disease presents with a singular characteristic – misshapen red blood cells (See Figure 1). This change in morphology from the normal disc-shaped cell to crescent-shaped is a direct result of the altered tertiary structure of the hemoglobin molecule (referred to as Hemoglobin S). 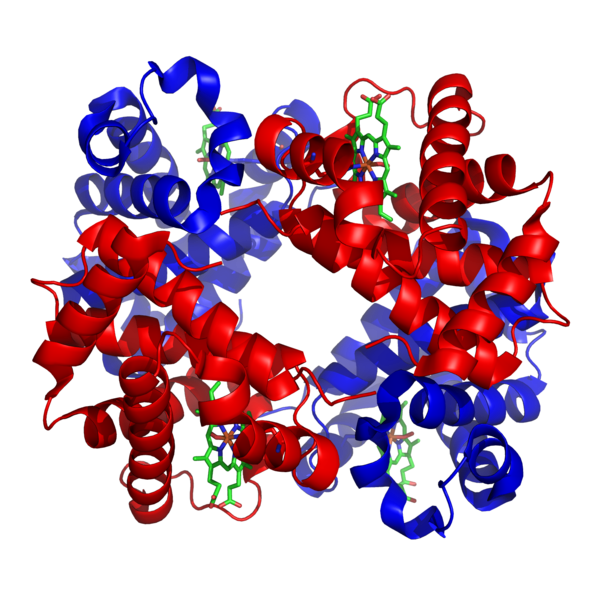 Normal hemoglobin has a globular tertiary structure (See Figure 2). 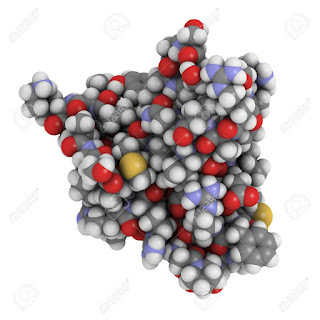 Hemoglobin is the protein found in circulating red blood cells (RBC) that is responsible for transporting oxygen through the blood stream and ultimately to all the tissues of the body. 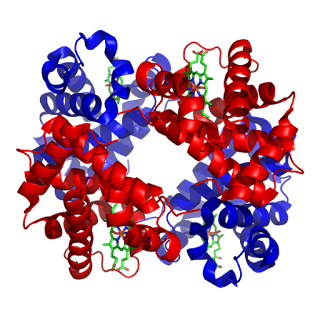 This change in the structure of hemoglobin is a direct result of a replacement of one of its constituent amino acids. In this case the sixth amino acid in the protein polypeptide chain has been changed from glutamic acid to valine. This singular modification causes the deoxygenated form of the protein to clump together (See Figure 3). This replacement results in a molecule that is no longer readily soluble in the cell cytoplasm of RBC. As a result of this one change, the overall morphology of RBC is changed from the normal disc shape to crescent shape and they can no longer flow readily through the bloodstream as shown in Figure 1. Since the sequence of all proteins is determined by the specific sequence of nucleotides in the genes responsible for their production, sickle cell anemia is a direct result of a single point mutation in the gene carrying the information for the production of hemoglobin found on human chromosome number 16 – hence the term, molecular disease. Since this disease has such a serious impact on the mortality for those who are afflicted, it might be asked why natural selection has not deleted this deleterious gene over the course of evolution. There is an explanation for this seeming contradiction. Those individuals that are heterozygous for this trait – where only one of the alleles has the mutation – have a subset of RBC that is misshapen. The remaining cells are normal, and these individuals are symptom free. Those who are homozygous for the trait – where both alleles have the mutation – have the full-blown disease. 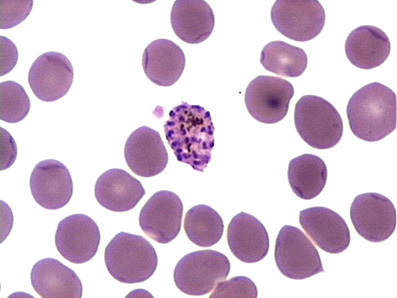 It appears that those who are heterozygous for the trait are protected from the malaria parasite whose host is RBC. Therefore, natural selection would favor those who are heterozygous for sickle cell anemia (carriers). In the past, this type of illness has been impervious to the possibility of a cure, since its origin resides in the very makeup of an individual’s heredity as expressed through the genes. However, since, red blood cells originate in the bone marrow, sickle cell anemia can be cured by bone marrow transplantation, but this approach has its own set of significant risks. Recent advances in molecular biology and gene therapy have demonstrated that this daunting limitation can be effectively breached using gene therapy. SCID is a particularly devastating and ultimately fatal disease in which the affected child has no defense against infections. Through the ground breaking work of Dr. Alessandro Aiuti, ten patients suffering from SCID are still alive. The mutated gene in this condition is the ADA gene responsible for the production of the enzyme adenosine deaminase - ADA. The laboratory of Dr. Aiuti from the San Raffaele Institute for Gene Therapy in Milan successfully used the following procedure: bone marrow cells from the patients involved were incubated with a specially engineered virus containing the normal ADA gene. These engineered cells were reintroduced into the patients. Positive results were seen almost immediately following treatment. A similar approach has been used in the treatment of a disease characterized by a congenital degeneration of the retina. In this study four of six patients had a notable improvement of vision. The latest advance has been made with Adrenoleukodystophy (ALD), a disease linked to the X chromosome. This is a severe neurodegenerative disease that leads to destruction of myelin, the outer membrane of nerve cells, in the brain and severe nervous system dysfunction. This disease is caused by a mutation in the ABCD1 gene. The first successful clinical test using gene therapy for ALD has recently been reported by Dr. Nathalie Cartier and her colleagues from the University of Paris-Descartes in Paris, France. The approach used was to take hematopoietic stem cells (HCS) from two young male patients and incubate their cells with a virus that was engineered to carry the normal ABCD1 gene. These modified cells were then reintroduced to the patients. Eventually, blood cells with the normal gene were found distributed throughout each patient’s body. Within 14 to 16 months post treatment, cerebral demyelination was arrested and neurological and cognitive functions remained stable. The patients’ own cells were used in this procedure; this avoids any need for a donor and obviates any concern of possible rejection. This is an extraordinary result and has profound implications for the future of gene therapy in medicine and may eventually find application in the treatment of sickle cell anemia.